I have been a huge fan of the musical Rent for as long as I can remember. From singing "Seasons Of Love" with my drama friends as a teenager, to watching the film adaptation obsessively and learning every single word to "La Vie Boheme", I was obsessed. And when I found out that it had closed in the West End 10 years ago and I would probably never get the chance to watch it, I was gutted. That was until summer last year when I saw that there would be a 10th anniversary performance in London. The tickets were booked before I could even tell my friend we were going. And no later than I had booked the first set of tickets, I found out they were going to take it on tour and it would be coming to my favourite local theatre, the Lighthouse, Poole. Of course I jumped at the opportunity to take my mum and introduce her to one of my favourite musicals of all. 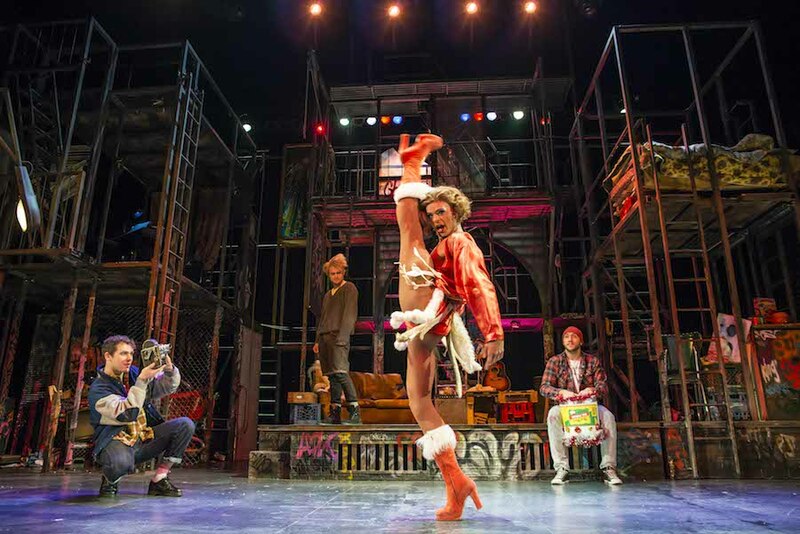 Rent tells the story of a group of bohemian artists that live rent free in a part of New York, struggling to survive, many of whom have HIV. When they are faced with the threat of eviction, an aspiring film maker Mark decides he needs to capture everything going on around him. Whilst the subject matter may be a heavy one, the songs are full of vibrancy and life. From the iconic "La Vie Boheme", to the heart breaking "Without You", each song will take you on a rollercoaster of emotions and will leave you wondering how the cast do it each night. It's simply breathtaking. One thing I loved was the staging. I'm always really impressed when a set designer manages to cram so much into a small space. 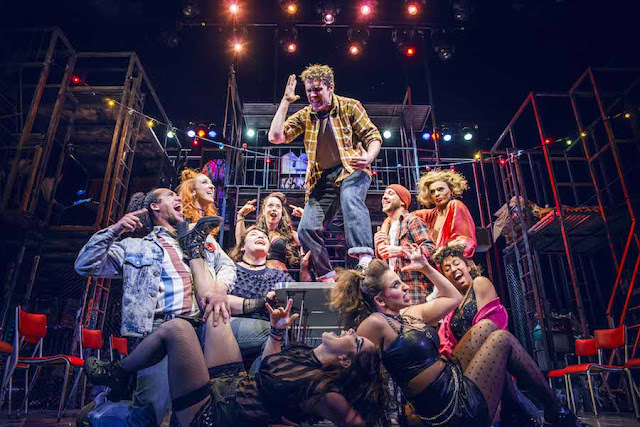 From moving scaffolding and simple props, your eyes seem to dart all over the stage trying to take it all in. I've seen this show twice now and I swear I'm still noticing and learning more and more. The cast themselves are what lead this performance. I can honestly say each and every one of them brings something special to the stage. From Leyton Williams' stunning performance of Angel (I mean come on, anyone that can performs splits in those heels needs a medal! ), to Philippa Stefani's breathtaking performance of Mimi. I just can't put into words how amazing they all worked together to make one of the best performances I've seen on stage. Billy Cullum and Ross Hunter's performances as Mark and Rodger blew me away, especially in the song "What You Own" whilst Ryan O'Gorman had me in tears at his "I'll Cover You" reprise. You know it's an amazing show when you find it tricky to express just how much you enjoyed it. When you leave the theatre and just have to say 'wow' and 'oh my gosh' again and again until it's really sunk in. The full house last night gave them a standing ovation before the final song had even finished and it was well and truly deserved. Full of passion, energy and emotion, Rent is a musical that will take you on a journey and leave you begging for more. A musical that will have you singing the songs for weeks after. My mum went into the show not knowing much about it beyond what I had told her and snippets she had seen online. She left the theatre uttering how amazing it was and how fantastic each of the performers were. It was great to be able to spend an evening together watching something so wonderful. 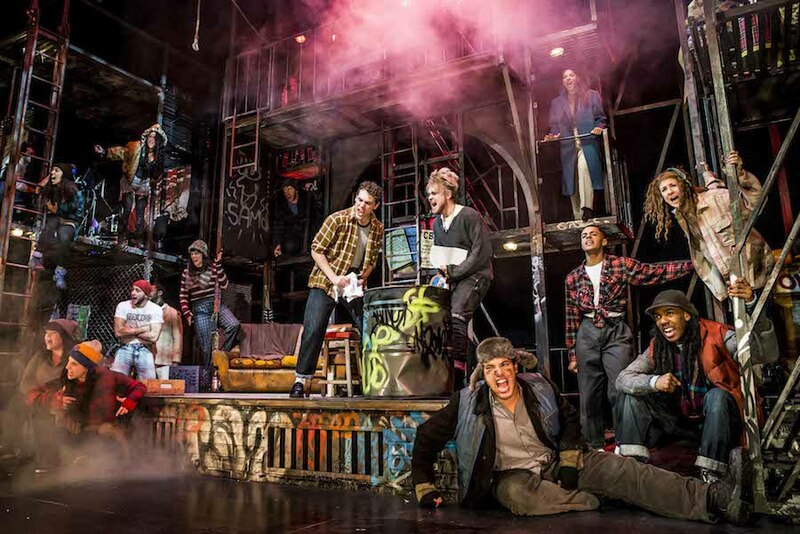 There are still a few tickets left for the performances at the Lighthouse, but Rent has also got three more venues to visit before the tour ends. There's no day but today to buy a ticket. *Note: We were gifted two tickets but all opinions are my own.